Founded in 1971 by Giovanni Neri who with his great vision and passion understood the huge potential of wine in the Montalcino territory, it was passed on to his son Giacomo in 1991. Casanova di Neri does in fact stands for the Casanova Estate of the Neri Family.. 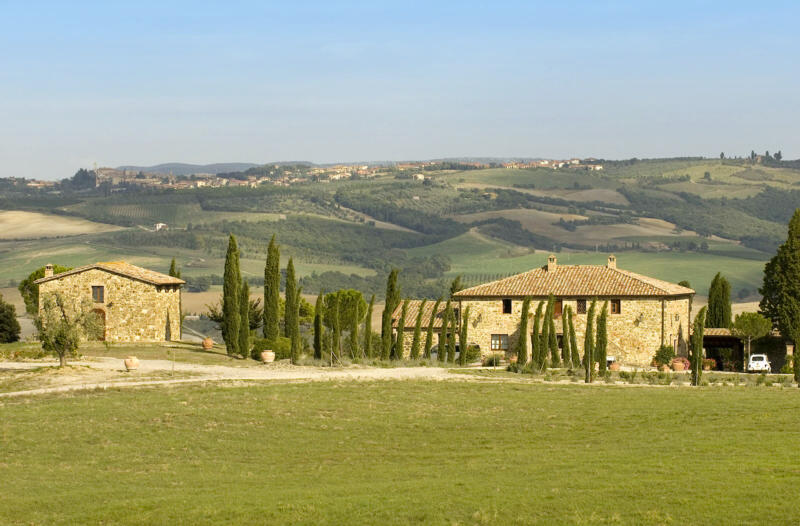 The production started in the Eastern part of Montalcino and was extended later in other areas. First came the Cerretalto vineyard, a unique terroir in a natural amphitheatre over the Asso river in which the old vines produced a Sangiovese different from the others, with small bunches of well distanced grapes, from which a selective variety was grown that was used in out other vineyards particularly in Tenuta Nuova. The acquisition of Cerretalto was followed by that of Le Cetine, Pietradonice and then Podernovo. All this by researching the best soil and exposures so as to produce unique and recognizable wines. The first Brunello harvest was 1978. This was followed by Cerretalto1981, Rosso di Montalcino 1982, Tenuta Nuova 1993, Pietradonice 2000, IrRosso di Casanova di Neri and the last one Ibbianco 2011. In the course of our small yet at the same time great history we have received awards from the most important reviews and opinion leaders of national and international wine critics. Currently the estate covers a surface of around 500 hectares of which 63 are vineyards, 20 olive groves and the rest arable land and forest. We believe that wines are the fruit of the vineyard and of man's labour. James Suckling 96"Gorgeous aromas of sea salt, savory, smoked meats and dried fruits follow through to a full body, with fine tannins and a long and intense finish. So beautiful and enticing. Goes on for minutes. Excellent quality for the standard bottling of this winery." "Ruby red with garnet reflections, hints of maraschino cherry, violets and red fruits. Great fineness in the mouth with tannin that is still young but of excellent quality. Long lasting, elegant and persistent. Serve at a temperature of 16°- 17° having opened he bottle a few hours previously." Wine Advocate 88-90 Barrel Tasting "I tasted the 2009 Rosso di Casanova di Neri from tank just before it was scheduled to be bottled. The wine shows gorgeous juiciness and richness with a round, harmonious personality that captures the essence of the house style. Anticipated maturity: 2011-2015." James Suckling 97 " This is not the perfect 100-point 2006, but damn close. Loads of black cherries and spices on the nose. Full-bodied, with a beautiful core of fruit. Long and gorgeous finish. This is so long and beautiful to taste. Lasts for minutes. Try after 2015. Wine Spectator 92"Intense aromas of blackberry, licorice and black cherry. Full-bodied, with fine tannins and a chewy finish. Has impressive structure for the vintage. Very well-made. Best after 2011. 5,755 cases made."